Jennifer Kent, Baykali Ganambarr, Clara Rugaard, Widad Shafakoj and more. Following our recent announcement that Hotel Mumbai stars Armie Hammer, Dev Patel and Tilda Cobham-Hervey will walk the red carpet on Opening Night, we can now unveil this year’s full stunning line-up of guests. Australians Wayne Blair, Benjamin Law, Justine Clarke, Warwick Thornton, Tess Haubrich, Erica Glynn, Margaret Pomeranz, David Stratton and Venice prize winners Jennifer Kent and Baykali Ganambarr will be joined by international guests including Jordan’s Widad Shafakoj, Denmark’s Clara Rugaard and Indonesia’s Kamila Andini for the eleven-day screen spectacular. 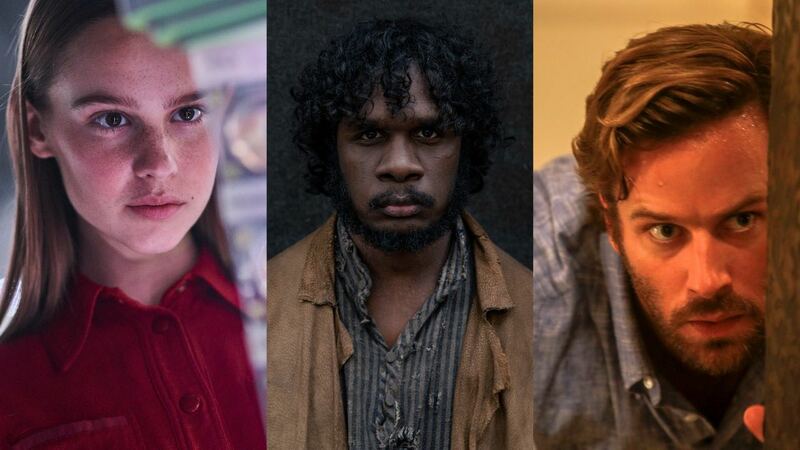 Jennifer Kent, director of The Nightingale will walk the red carpet at the Australian Premiere with cast member Baykali Ganambarr, associate producer and aboriginal consultant Jim Everett, and producer Kristina Ceyton. Exciting young star of I Am Mother, Danish actress Clara Rugaard, is also on her way to the festival with writer/director Grant Sputore and producer Timothy White. Multi-award winning filmmaker and humanitarian activist from Jordan, Widad Shafakoj will present the Australian Premiere of her doco 17, which follows the Jordanian team’s journey to the FIFA Under-17 Women’s World Cup. Widad will also be part of a fascinating panel discussion on The Cinematic World of Arab Women with Arab Film Festival Australia Committee members Dr. Mehal Krayem and Dr. Paula Abood. Recipients of the Don Dunstan Award, indigenous screen pioneer Freda Glynn, her children, Erica Glynn, Warwick Thornton, and grandchildren Tanith Glynn-Maloney and Dylan River will be celebrated with a suite of events including the World Premiere of She Who Must Be Loved, the launch of KIN, a collection of essays which recognise the remarkable contribution to the industry of this talented family, and screenings of Warwick’s 2003 debut Samson & Delilah, and Dylan’s much-anticipated documentary Finke: There and Back. The World Premiere of ABC/NETFLIX thriller Pine Gap will see stars Tess Haubrich and Sachin Joab (Lion) walk the red carpet with director Mat King and producers. Director of Australian mystery thriller Celeste, Ben Hackworth, and Indonesian director Kamila Andini with her APSA and Berlinale Crystal Bear winning The Seen and Unseen will also be in attendance. The festival also welcomes the cast and crew of Australian feature Emu Runner including cast Wayne Blair, Rhae-Kye Waites, Mary Waites, Letisha Boney and Stella Carter with director/writer Imogen Thomas and producer Victor Evatt. Documentary Happy Sad Man will be presented by filmmaker Genevieve Bailey (I Am Eleven) and John Anderson, a subject from her compelling documentary. YouTube sensation (10+ million subscribers) Ozzy Man will join filmmakers Jeremy Kelly-Bakker and Tom Phillips for the World Premiere of Lucy and DiC. Comedian, writer and creator of The Family Law, Benjamin Law and showrunner Sophie Miller for the series 3 World Premiere on the big screen. Festival “faces” Natasha Wanganeen and Rashidi Edward will be rubbing shoulders with the industry including Hotel Mumbai director/writer Anthony Maras, writer John Collee and producers Julie Ryan and Joe Thomas, plus Gillian Armstrong, in Adelaide for the SAFC’s inaugural Lottie Lyell Award, WIFT Australia’s Megan Riakos and Tracey Corbin-Matchett to launch the Raising Films Australia Survey, SPA’s Matt Deaner and The Wheeler Centre’s Sophie Black among many others! See the full list of special guests here.